There are countless moments that define a school year. We try to capture as many as possible on video in order to share them with those in our greater Proctor Family. As 2016 winds down and we gear up for all that 2017 has in store for us, we share with you the Top 10 most viewed videos of 2016. Many thanks, as always, to the talented Ethney McMahon P'16, '20 for sharing her videography and editing talents with our team. Enjoy! On our way out of Mississippi we stopped In Jackson to meet with lawyers at the Southern Poverty Law Center whose work focuses on the school-to-prison pipeline. Our next stop was in Bayou Sorrel, Louisiana where we spent the day with the Atchafalaya Basinkeeper and Greg Guirard, a local legend who salvages old cypress logs. To finish up our time in the Southeast we ate lunch in New Orleans' French Market and chatted with William Most, a local civil rights lawyer. Enjoy Jon's reflection on our time in the Southeast! One of the perks of vacation is taking time to look back through the 283 blog posts we published as a community over the past year (wow!!!). 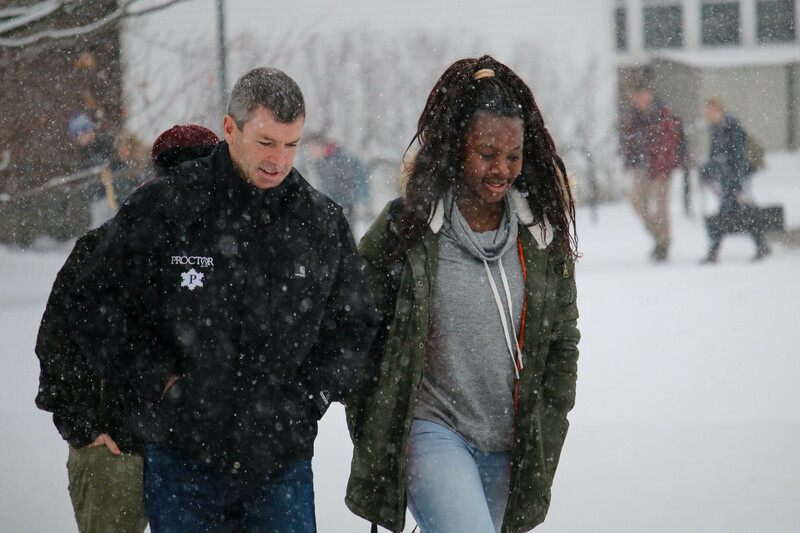 Each of these posts, written by faculty, staff, students, parents, and alumni, represents a piece of Proctor’s story. As a whole, they provide a wonderful narrative of a school deeply committed to providing an education that operates at the intersection of individualized academics and experiential opportunities within a strong, nurturing community. Today, we share the Top 10 most read blogs of 2016! 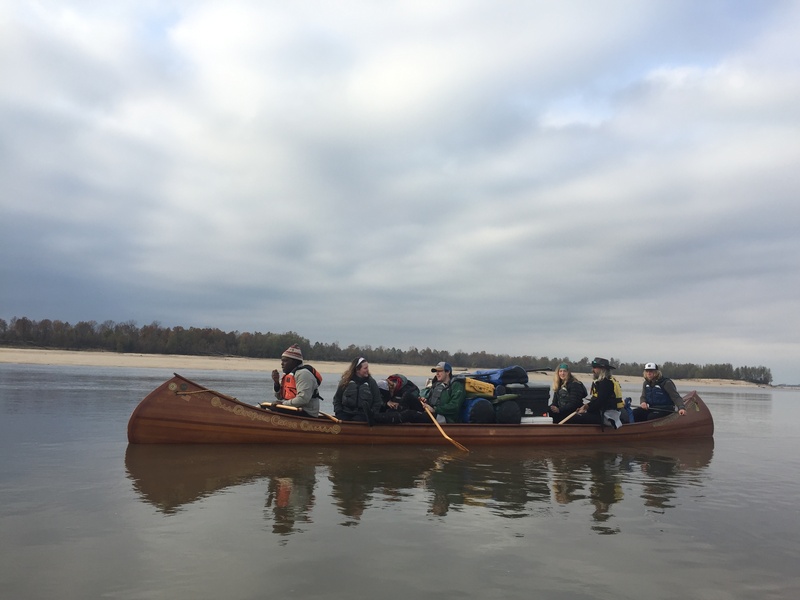 John Ruskey and Mark "River" Peoples from the Quapaw Canoe Company showed us to an amazing week of paddling that Grayson '18 and Matt '17 have documented below. In our class time we explored James Kilgore's Understanding Mass Incarceration, Richard Grant's Dispatches from Pluto, and a nutritional analysis of prison diets. which allowed us to get to know the prison system through multiple lenses. Enjoy this second update from Mountain Classroom's first three weeks of the term! Campus is quiet this week. It’s during vacations that we allow ourselves to recharge. 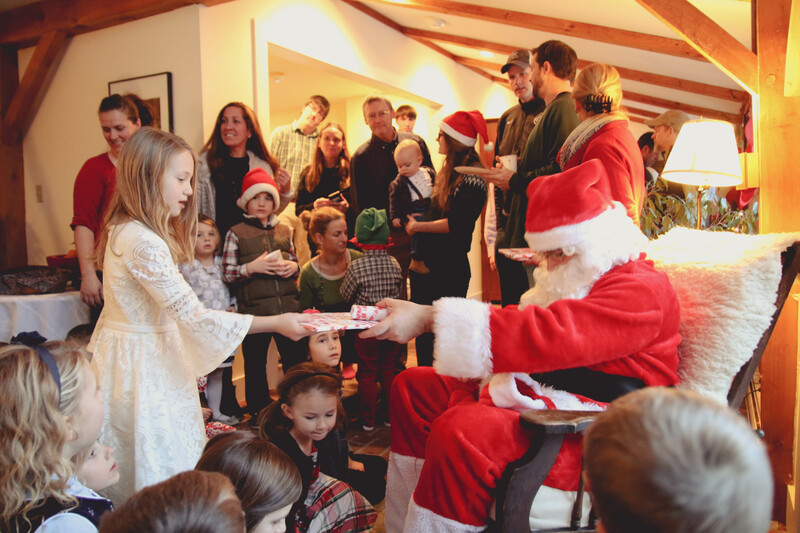 We spend much needed time with family and friends, catch up on appointments we didn’t have time to schedule during the chaos of the regular school day, and make a few last minute holiday shopping trips (don’t forget to visit our Buy Proctor site for some great gift ideas!). We make a welcomed, tangible downshift from the speed at which our lives are otherwise being lived. Mountain Classroom began our winter trimester at the Morning Sun Mindfulness Center in Alstead, NH. After orienting the students to the bus, trailer, and living arrangements we all watched The Dhamma Brothers. This film started our first discussion on the term's guiding question: What are the components to leading a fulfilling life? In the Southeast, Mountain Classroom will be exploring the criminal justice system as an obstacle in the pursuit of fulfillment. Our first destination is canoeing on the Mississippi River with the Quapaw Canoe Company in Clarksdale, MS. Enjoy Jaz '17's reflections on our first week together! 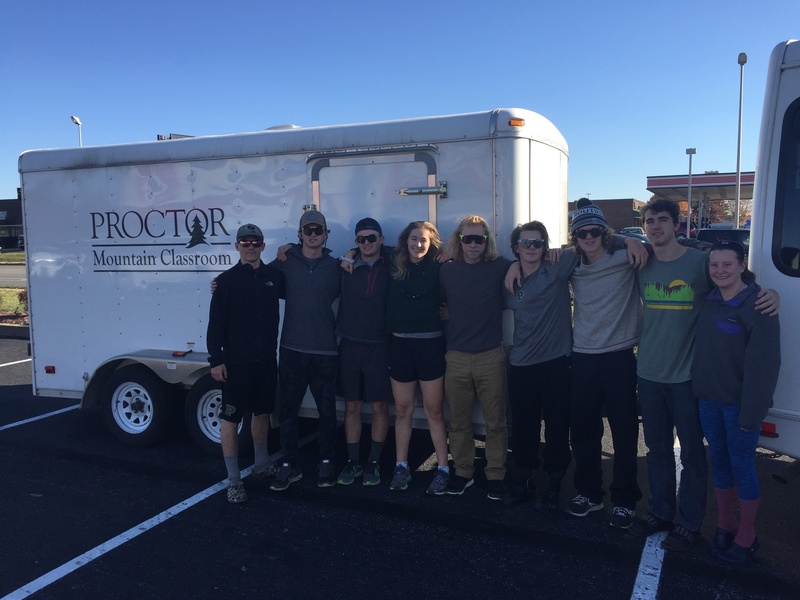 While most Proctor students depart for winter break at noon Thursday, six athletic teams are gearing up for holiday tournaments and training camps. Read more about these teams, upcoming games/races, and the exciting international training trips planned below! Proctor Alumni: Buy Proctor This Holiday Season! As you sit on your couch this evening and procrastinate your holiday shopping yet again, do yourself a favor and CLICK HERE! If you didn't click and are still reading, we'll work on you a bit more before asking you to click the link again at the bottom of this post. 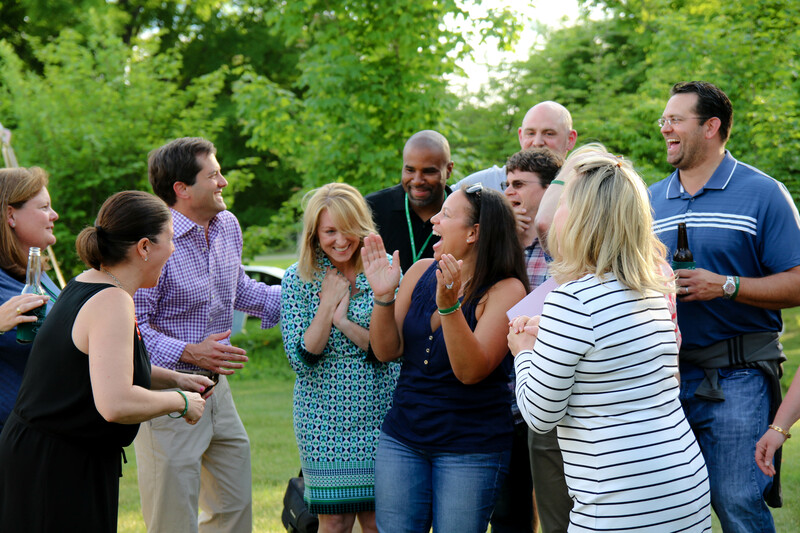 Proctor's alumni network is expansive, and as we seek to strengthen this network of talented, creative, driven individuals, we thought we would take the first step in creating a micro Proctor economy online. 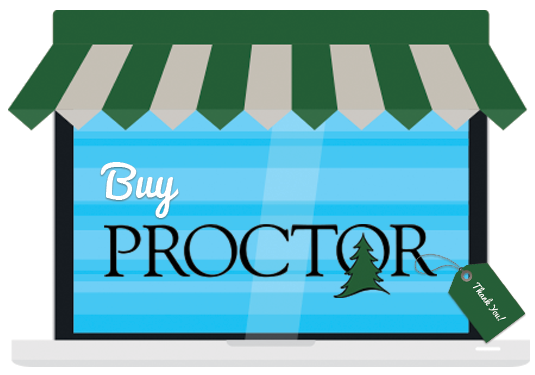 We introduce to you: Buy Proctor! Every weekend at boarding school is packed with activities. 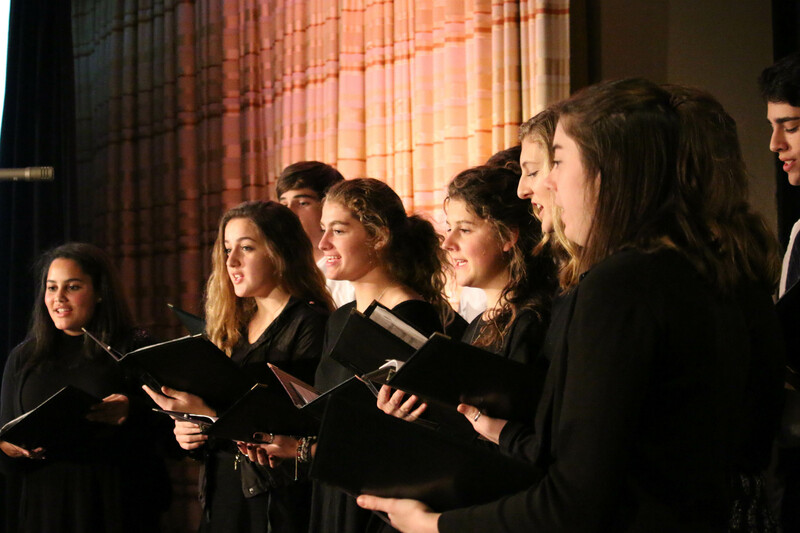 One of our greatest strengths at Proctor is providing students the an opportunity to pursue their passions. 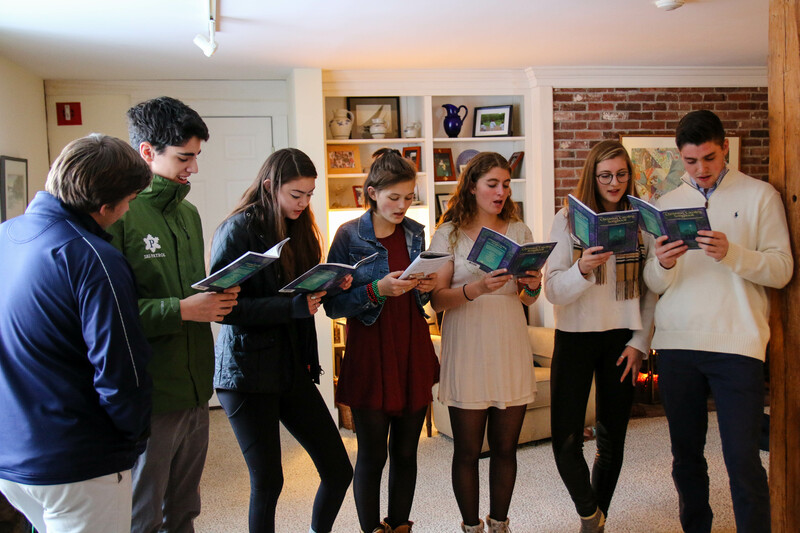 Academic classes, art electives, and afternoon programs integrate this exploration into the academic week, however, weekend activities provide yet another outlet for students to have fun, try new activities, and spend time together in community. This past weekend epitomized why boarding school life is so appealing! 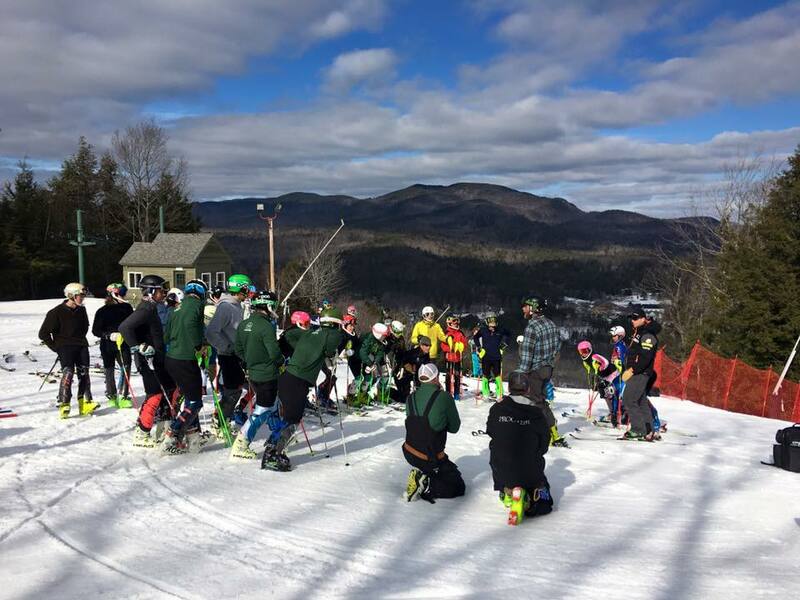 Proctor Academy’s winter sports are underway, and with it the excitement of a variety of games and races. The boys’ varsity hockey has been a hub of excitement thus far, with three home games over the past week including two wins and one loss. The energy from the home games has been incredibly positive, with large support from the student body in the stands. Feeding off of this energy is a team who has welcomed a slew of new players to its roster. As the team’s chemistry builds, and new players continue to mix well with the core of returning veterans, expectations are high despite playing in one of the toughest leagues in the country. We teach to the truth in schools, and we also teach to passions. Emotions. We talk about students “finding” their passion, getting to that sweet spot where the drive become intrinsic, where the 10,000 hours of practice to become an “expert” are not a burden but a delight, where time melts in the doing. The Talent Code, The Tipping Point– how many times over the years have these books and their authors been referenced? When was the last time you allowed yourself to follow your passion? We all have pieces of our lives that represent our passions, but few of us have the confidence to wholeheartedly throw ourselves into that which fuels our souls. 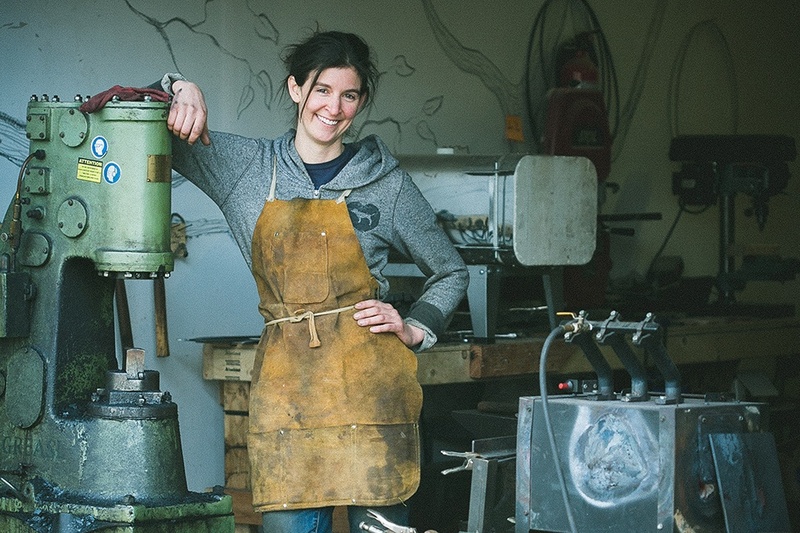 Moriah Cowles ‘02 is one of those rare individuals whose life’s compass consistently points to true north: her passion for blacksmithing. Another fresh coating of snow covered campus last night as we reach the midway point in this quick three week stretch between Thanksgiving and Winter Break. Student Leaders Cope Makechnie ‘17 and Nick Ho ‘17 sent out a campus wide Secret Santa list last night, wreaths are hung around campus, and a general excitement about the upcoming holiday season prevails on campus. 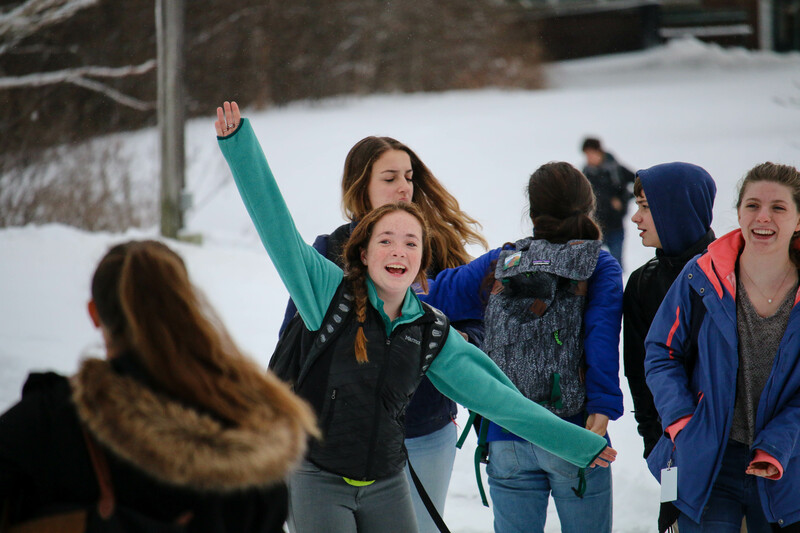 As students work through projects, readings, and begin to delve into the Winter Term, we are reminded of our unique role as adults living and working in a boarding school community. Opportunities for hands on learning constantly present themselves to teachers at Proctor. 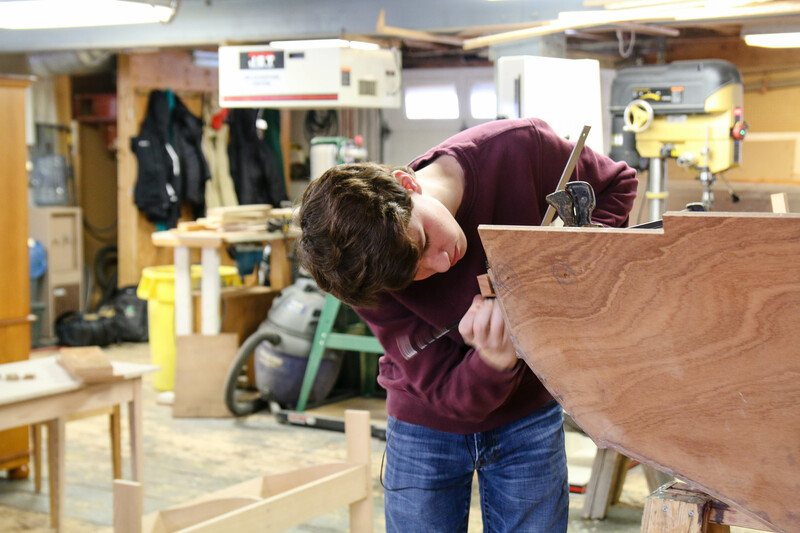 Whether it is designing and building a solar oven in AP Environmental Science, meeting with a K9 officer during Criminal Justice, or studying a local fishery in Biology, students and teachers are constantly immersed in their own learning. The past month has afforded a unique set of hands-on experiences due to New Hampshire’s important electoral votes during the 2016 Presidential Election. 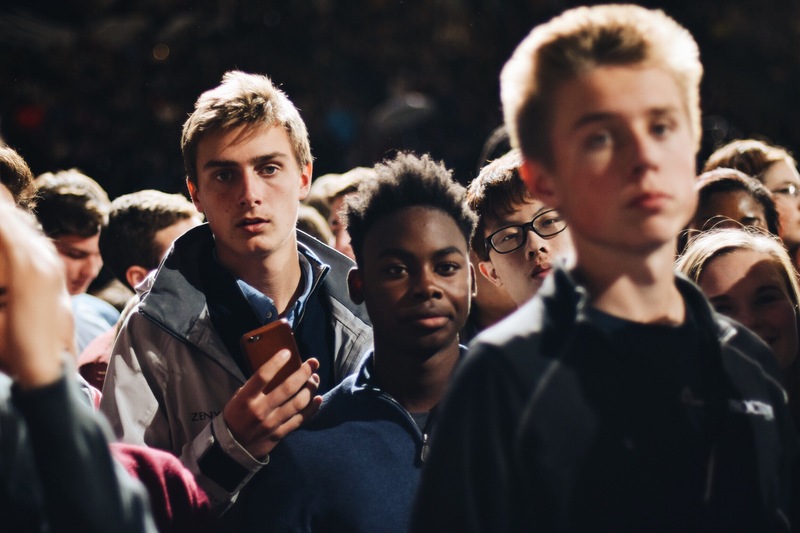 Today’s Academic Lens post features student reflections on their front-row attendance at Barack Obama’s November 7 speech at the University of New Hampshire and photography by Sarah Ferdinand ‘18. Many thanks to Social Science teacher Fiona Mills for organizing the outing for more than two-dozen students. Enjoy! Last night in Boston we enjoyed one of those gatherings of the Proctor family that we occasionally have. Usually our events are smaller, the venues more intimate, but last night was bigger and more structured. We had the vocal ensemble perform a medley from West Side Story, we showed a campaign video, and Patty Pond spoke to the healthy arc of a community moving forward with its values intact. Matt Nathanson sang a couple of songs. I spoke about investing in The Campaign for Proctor, and I discussed a challenging situation we are facing on campus.